In terms of 1990s and 2000s punk rock, several names emerge as the giants of the decade. One of those bands was Green Day. The trio of Billie Joe Armstrong, Tré Cool, and Mike Dirnt dominated the 90s and parts of the 2000s, and remain to this day one of the most influential punk bands in existence. Despite this, many in music found that as time wore on, Green Day abandoned their traditional punk style and transitioned into an alt/pop-punk sound. Even with their massive success, Green Day’s change of style comes with the idea that they’ve lost their place, often seen as overrated. This could not be more wrong. 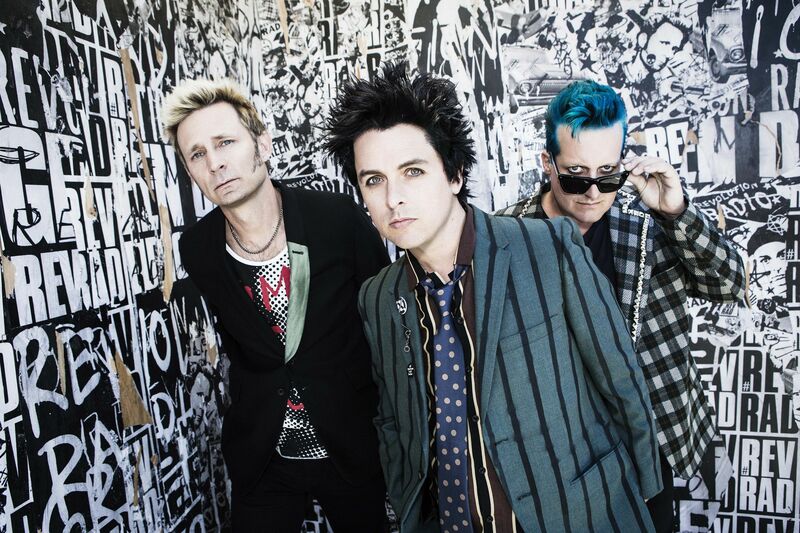 Green Day, along with their transition into other genres, remain one of the best groups of the era. Green Day debuted in 1990 with 39/Smooth, but became known for their second studio album Kerplunk. They rose to prominence with Dookie in 1994, one of the greatest albums of the last 25 years. With the release of 1995’s Insomniac, and 1997’s Nimrod, the band experienced rapid success. However, with 2000’s Warning, the doubts about Green Day’s change of tone started to emerge. In his review of the album, Greg Kot wrote in Rolling Stone that “The problem is, (Armstrong) can’t muster the same excitement for his more mature themes.” When Green Day came into the spotlight after a four year hiatus, and American Idiot was released in 2004, they hit gold with the most successful album in the band’s history. The problems began to arise after American Idiot and 2009’s 21st Century Breakdown, which again, was both a critical and commercial success. “If it’s a continual surprise that Green Day are the ones to pick up the torch and run with it, that’s part of what makes 21st Century Breakdown so fresh and vital,” wrote Rob Sheffield in Rolling Stone. The band’s release of the critical and commercial failure of the Uno… Dos… Tré! compilation album in 2012, and Armstrong’s drinking sent Green Day into a downward spiral that still plagues the band, to a certain extent. After the fallout of the albums, in an article for Billboard magazine, Jason Lipshutz wrote, “With all three members now in their 40s, however, is this really the version of Green Day we want to return?” For many, this was the resounding thought, as Green Day mostly disappeared until October of 2016. The politically charged, “Revolution Radio,” brought Green Day back into the spotlight. Despite Green Day’s slip ups, they are still producing good music, and should be revered as one of punk rock/pop music’s greats. Revolution Radio marked a key return to form for the band, and one that signals good things for the group. Green Day has certainly stepped away from their peak content in the early to late 90s, but the band is far from overrated. They are still a voice of the generation that grew up with them and will continue to be a presence in their genre for as long as they continue to make music.